One of the alleged rivalries that was expected to blow up this past season on RuPaul’s Drag Race was between Aquaria and Miz Cracker. That didn’t really end up happening, as the pair played cordial throughout the entire season and seemed to support one another. But a Miz Cracker Drag Race finale video is circulating the internet today that seems to tell a completely different story. 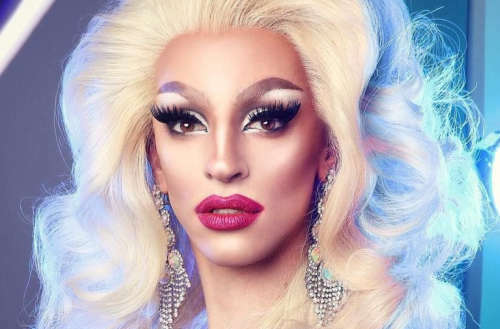 Is Miz Cracker happy with who the Drag Race season 10 winner is? When the season 10 queens were first revealed, many fans quickly noted that Aquaria and Miz Cracker looked very similar. This subject came up on the first episode of the season when Aquaria alleged that Cracker was stealing her runway mug for that week’s challenge. Monet X Change explained that there had been a historical battle between the two in New York City because of their similar aesthetic. It never really came up after that, and the pair seemed to play well with each other for the remainder of the season. Even after being eliminated, Cracker said, “Aquaria, bring home the crown.” But during the reunion, Cracker chose to name Eureka O’Hara as the deserved winner of the season. So what is it: was Cracker Team Aquaria, or Team anybody else? Miz Cracker watched the finale episode in public last night, which may have not been such a great idea since emotions can be a hard thing to fake in the moment. When Aquaria was named the Drag Race season 10 winner, multiple people filmed Cracker’s reaction, and there is nothing but disappointment and angst on display. What do you think of the Miz Cracker Drag Race finale video? What do you think of the Drag Race season 10 winner?